Electroweak interactions in nuclei, neutron physics, theory of nuclear reactions, nuclear fission, neutrino nuclei interactions, extensions of the Standard Model, computational physics, network theory. V. Gudkov, V. Montealegre, S. Nussinov and Z. Nussinov “Community Detection in Complex Networks by Dynamical Simplex Evolution”, Phys. Rev. E78, 016113 (2008). V. Gudkov, “Scattering of Ultra Cold Neutrons on Nano-size Bubbles”, NIM A580, 1390 (2007). G. L. Greene and V. Gudkov, “A Neutron Interferometric Method to Provide Improved Constraints on Non-Newtonian Gravity at the Nanometer Scale”, Phys. Rev. C 75, 015501 (2007). V. Gudkov, G. L. Greene and J. R. Calarco, “General classification and analysis of neutron beta-decay experiments”, Phys. Rev. C 73, 035501 (2006). S. Ando, H. W. Fearing, V. Gudkov, K. Kubodera, F. Myhrer, S. Nakamura and T. Sato, “Neutron beta decay in effective field theory”, Phys. Lett. B 595, 250 (2004). S. Nakamura, T. Sato, V. Gudkov and K. Kubodera, “Neutrino Reactions on Deuteron”, Phys.Rev. C 63, 034617 (2001). 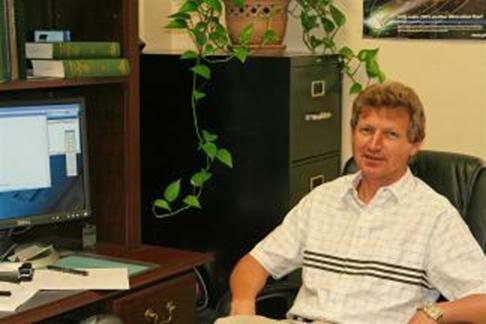 V. P. Gudkov "On CP-violation in nuclear reactions" Phys. Rep. 212 (1992) 77. A. A. Anselm, V. E. Bunakov, V. P. Gudkov, N. G. Uraltsev "On the neutron electric dipole moment in the Weinberg CP-violation model" Phys. Lett. B152, 116 (1985). V. E. Bunakov, V. P. Gudkov "Parity violation and related effects in neutron-induced reactions" Nucl. Phys. A401 (1983) 93.